On behalf of the entire Child Evangelism Fellowship® team, we want to thank you for helping us tell more children about Jesus this Easter. Because of the generosity of friends like you, we were able to meet our matching goal of $25,000 and beyond, enabling us to send more than 500 Boxes of Books that will reach over 650,000 children! The future of our world belongs to this generation of boys and girls … and we are so grateful you are helping them learn about Jesus Christ! 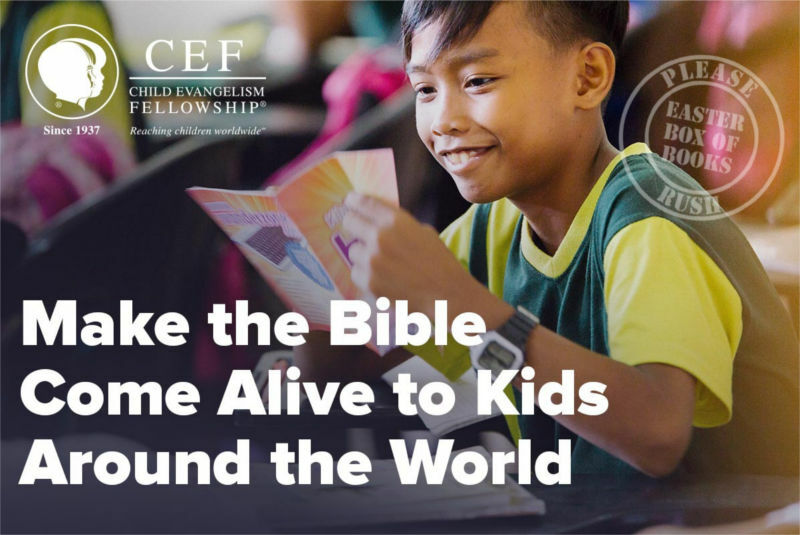 Please continue to pray with us that God would use CEF to reach Every Child, Every Nation, Every Day.